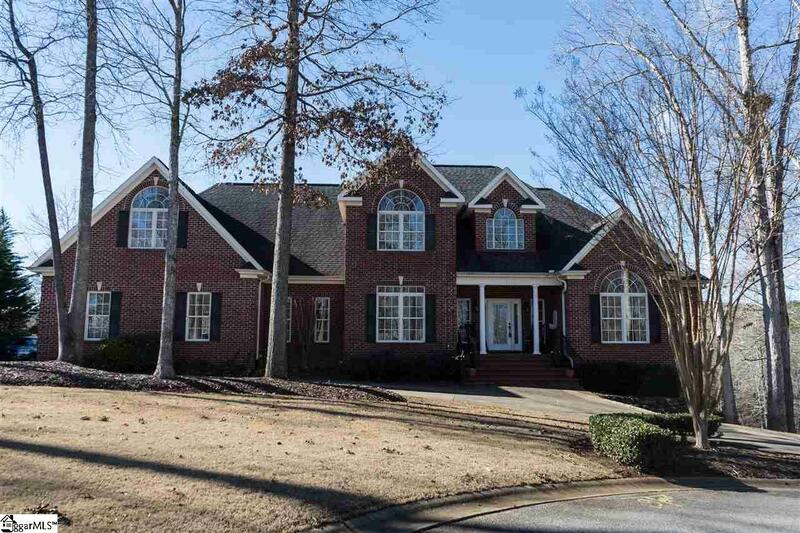 Woodfin Ridge Golf Community. Your family will enjoy this custom built, one owner home situated on a cul-de-sac lot on the golf course with many upgrades. 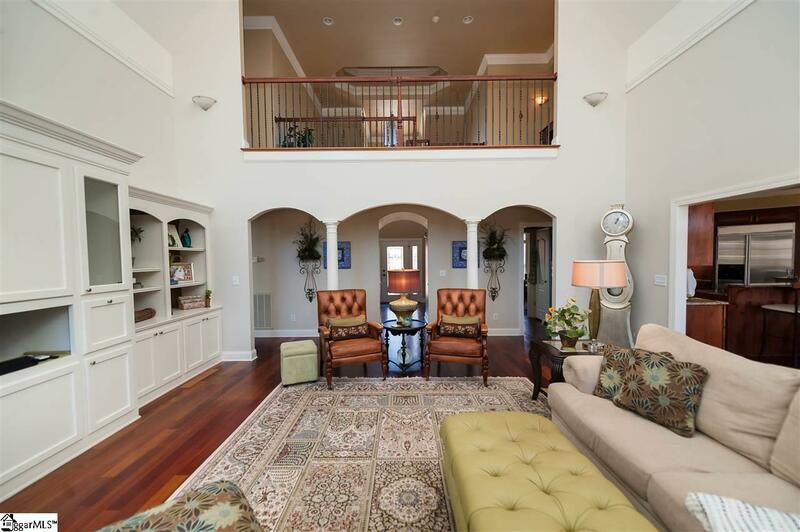 The stunning entry foyer has Brazilian Cherry floors and a wrought iron staircase leading to the second story. The foyer opens to a living room/office and a dining room that is currently used as a music room. The butlers pantry connects the dining room with the kitchen. Custom cabinetry, granite counter-tops, stainless steel appliances, and a breakfast area make the kitchen perfect for family gatherings. The stainless steel appliances include double ovens, a warming drawer, gas cook-top, microwave dishwasher, and refrigerator. 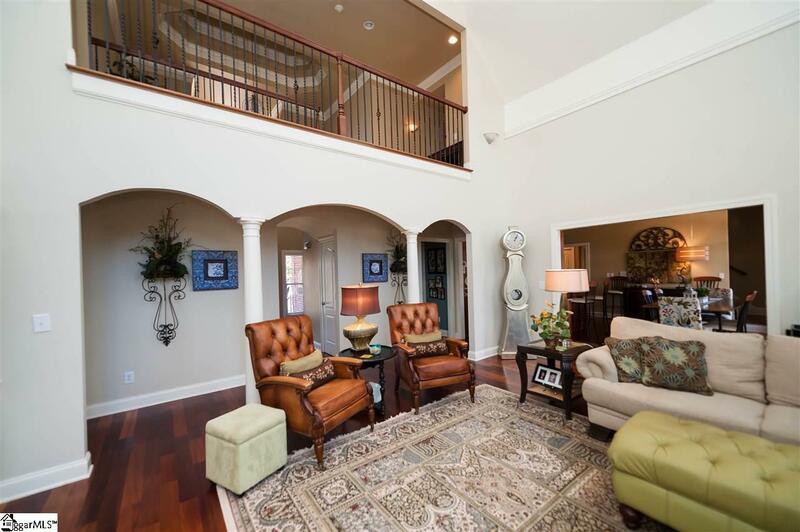 The two story great room has a stone fireplace with gas logs surrounded by custom bookcases. 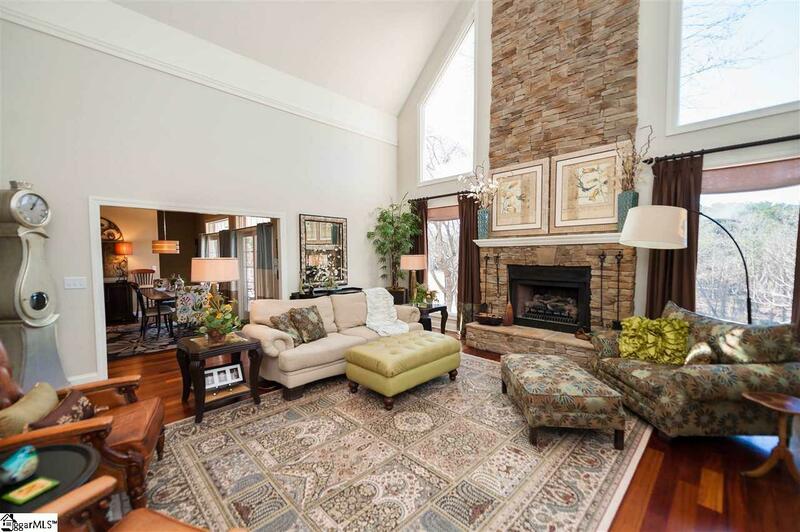 The great room leads to a covered porch overlooking the golf course. The main level master suite has views of the course from its private deck. The luxury master bath has a jetted tub, separate shower, double vanity, and walk in closet. Double staircase lead to the second story where you'll find 4 guest bedrooms and three full baths. The full basement can be finished for additional livings pace (over 2200 SF). It has a workshop complete with cabinets for the handyman in the family.